Established in 2002, National Products Fulfilment (NPFulfilment) has gained the enviable reputation of being a world leading order fulfilment business. NPFulfilment has successfully partnered with hundreds of businesses (Australian and International) to provide customised fulfilment solutions through best practices. At NPFulfilment, our speciality is Product Fulfilment; our uniqueness is exceptional customer service. Of course we have the technological systems and processes to make your order fulfilment as fast, accurate and easy as possible. We do this without losing that all important “human touch”. The people at NPFulfilment are a team of committed and experienced individuals with a “can-do” attitude. It is the intelligence and concern of our people, not just the technology that guarantees a smooth operation. At NPFulfilment, people are always there for you … and your customers. Our fulfilment company becomes an extension of your own company’s excellence and aspirations to build a contingency of satisfied, repeat customers.We believe that our strong operational expertise coupled with a passion for customer service enhances our proposition and allows us to provide a service that exceeds what is provided in the market today. Small, mid-size, and large businesses outsource to NPFulfilment because we give them the leverage of state of the art facilities, technology, and systems along with excellent customer service that represent them well. Some of our clients use us for our drop shipping capabilities; others because we provide a complete end to end service which includes the provision of a shopping cart, payment processing gateway, packaging, assembly, third party logistics (3PL), storage, pick & pack, distribution and real time online reporting. Clients never worry about NPFulfilment losing their valuable products because we guarantee to cover the cost of any product that’s been misplaced or shipped incorrectly, though this rarely happens. Bottom-line, clients see how much money we can save them before they commit to outsourcing to us, that’s why so many people trust us. NPFulfilment provides a range of direct and traditional channel product fulfilment solutions. We understand that your orders are strategically important and enterprise critical. Our experience in supply chain services confirms that enterprise critical fulfilment is much more than putting items into a box and shipping it. 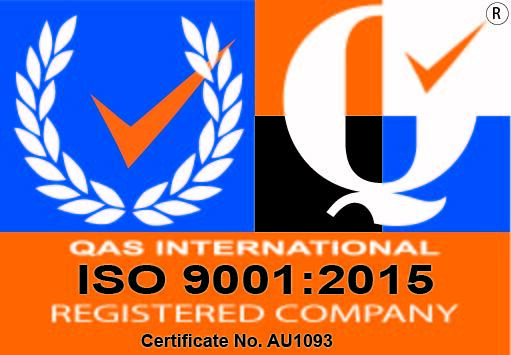 Offering ISO 9001 quality accredited systems – NPFulfilment’s Inventory Management, Order Processing & Reporting allow us to be one of the country’s leading suppliers in the industry. NPFulfilment has differentiated itself by employing staff who have a fulfilment background of course, but our team has extensive experience in the markets we service – direct response, mail order, promotions & retail. This diversified experience, combined with our state of the art warehouse management systems and mechanised processes give us an unrivalled ability to service our client’s requirements. Outsource to us and let us save you and your company money, time and human resource expenses. If you are already outsourcing, let us show you how we can offer a better service.